ICE-16, USB audio interface from Allen & Heath. Allen & Heath introduce a new product to its range at PLASA, the ICE-16, a 16 In/16 Out audio interface. It lets you capture multi-track recordings to a USB drive or interface to a computer. 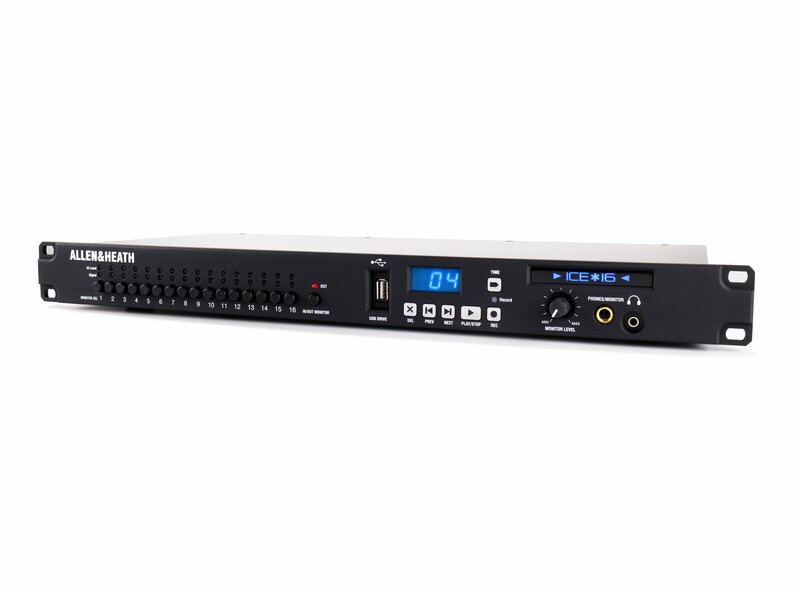 Fitted into a 1U rack design, ICE-16 is designed to convert and bi-directionally stream 16 channels over USB or FireWire at 24 bit, 96kHz resolution. Alternatively, 16 channels can be simultaneously recorded to a USB hard drive or memory stick at up to 24bit 48kHz resolution .wav file. The ICE-16 is expandable, so you can link units together and synchronize recording of many channels. 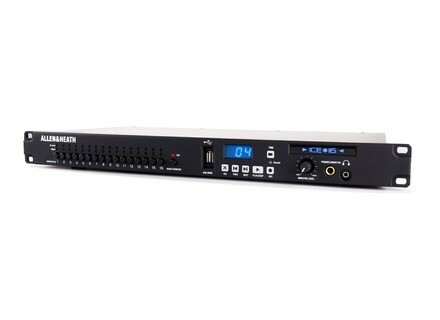 ICE-16 connects to an audio mixer or analogue source using ¼” jacks for the inputs and RCA phono connectors for the outputs. Signal and peak metering is provided for each channel and can be switched to show input or output. Headphone monitoring is also included and switches on each channel enable checking of individual or multiple channels. ASIO drivers and Core Audio compliance are designed to ensure compatibility with all the main DAWs, including Logic, Sonar, Cubase and Pro Tools. SRP is £654 ex VAT. Check out www.allen-heath.com for more details. Meesha Damatriks Meesha has released Damatriks, a free modular synthesizer instrument plug-in for Windows. Ueberschall Dubstep Destruction Ueberschall introduces Dubstep Destruction, featuring beats, synths, basses, weird sound FX, ragga grooves and MC vocals. IK Multimedia Ships the iRig Stomp IK Multimedia has announced that iRig Stomp is now shipping.